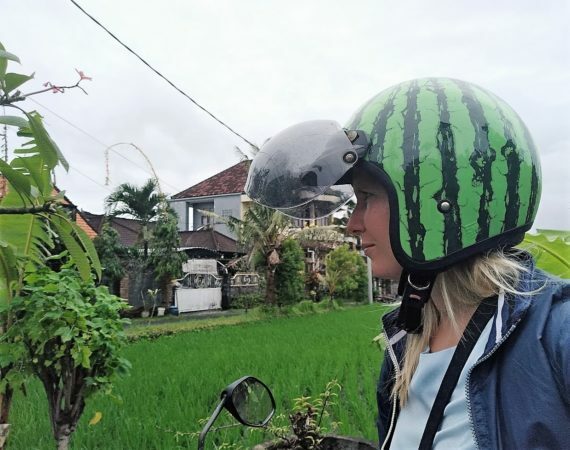 If you ever see a watermelon cruising around town in Seminyak or Canggu, big chance it is me out and about on my motorbike to inspect villas or check out newly opened cafes and restaurants. 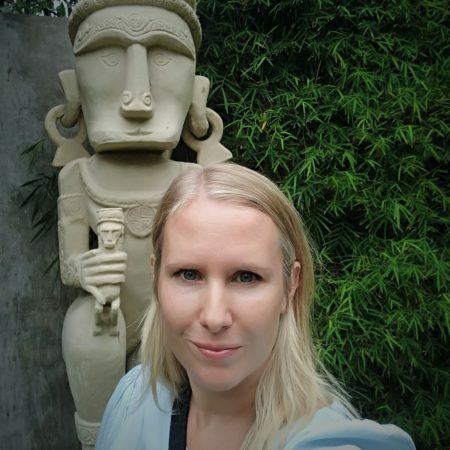 My name is Stephanie and I am part of the Villa-Bali team, writing blog posts and inspecting villas all around the island to make sure your villa stay in Bali will be a very happy one. Today, I am on the way to Villa Kalua in Umalas. Want to come along? I just love Umalas, the area where Villa Kalua is located. It is central yet so peaceful and quiet, surrounded by rice fields. Villa Kalua is part of Bali Ethnic Villas and this complex of 3 villas is found at the very end of a quiet lane. This means good news for you: the only sounds you will hear are those of nature. 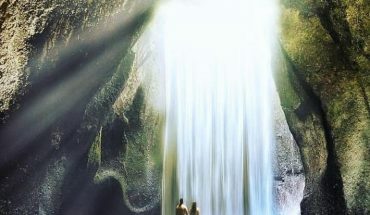 You will hear birds chirping,and the wind blowing through the trees and the paddy fields. After crossing the bridge over a peaceful koi fish pond, I enter a beautiful teak wooden house, brought over from Java Island. 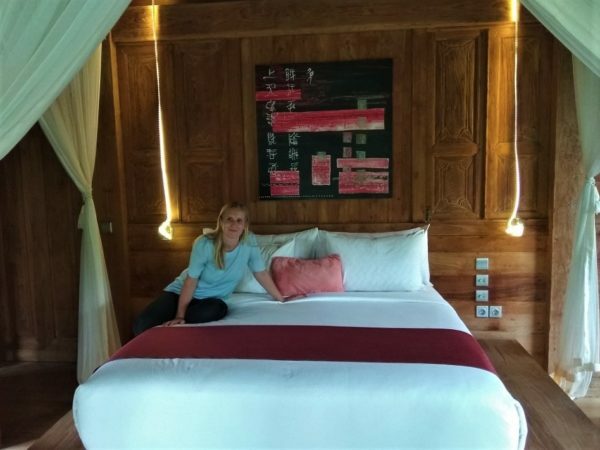 The Javanese Joglo feature high soaring rooftop and beautiful traditional wood carvings. 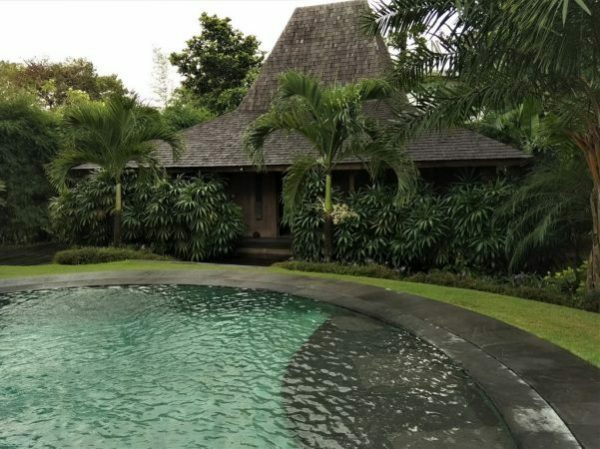 The architectural design is open-plan and the view of the pool and the rice paddies surrounding the estate is mesmerizing. Shortly after my arrival, I meet the team and they are just heartwarming. Welcome drinks and the kind Balinese smiles… I could get used to this! Lush tropical green plants and flowering trees fringe the side of the inviting 20-meter swimming pool that looks like a lagoon with its beautiful curves and crystal clear water. 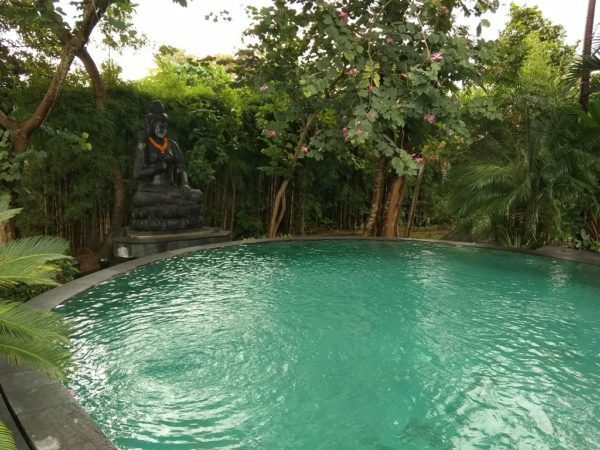 At the end of the pool sits a giant hand-carved Buddha Statue, appearing to be guarding over this beautiful and exotic holiday paradise. The garden is huge and tropical with traditional Joglo houses situated around the massive, glancing swimming pool. There are 4 bedrooms of which 3 are tucked in their own private Joglo pavilion. There are separate living and dining areas and the entire estate exudes soulfulness, luxury and sophistication. 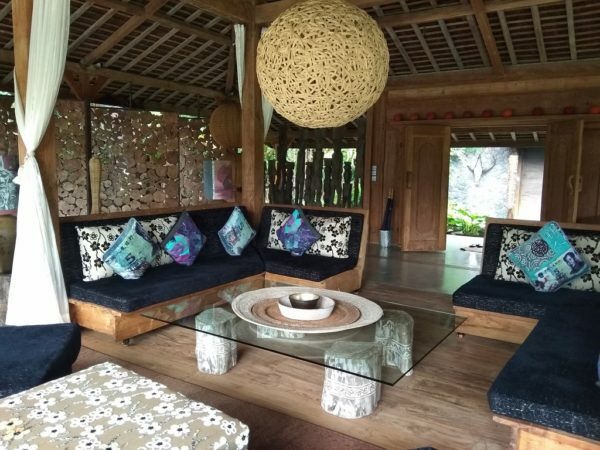 This traditional Javanese Joglo house sits in between the tropical greenery of the garden. Perfectly intimate and private. These are super comfy sofas to relax on, soaking up the views and the peaceful ambience. The dining room and kitchen… spacious and rustic. The kitchen features state-of-the-art equipment including a wine refrigerator, stove, oven, coffee machine and a big fridge. 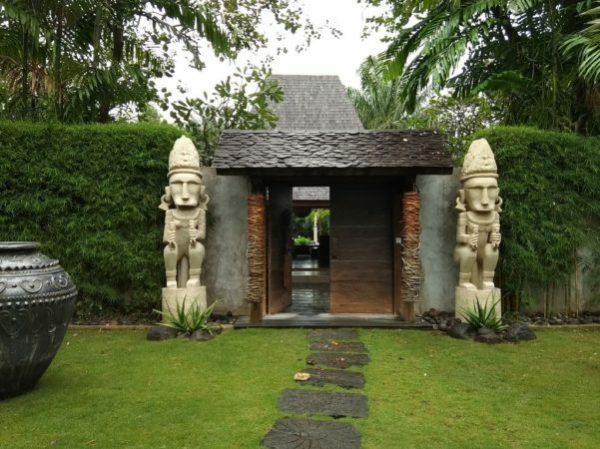 In every corner of this villa, you will find exotic textiles, traditional tribal statues and ethnic artwork. 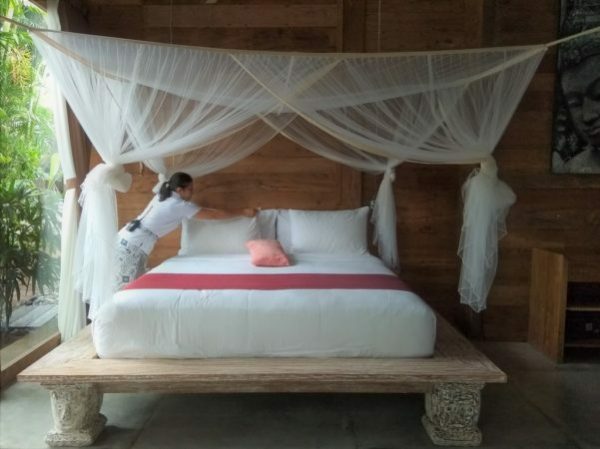 Every bedroom is equipped with AC and they feature gorgeous custom-designed furniture such as this intricately-carved teak wooden bed with a large king-size mattress, tucked in fresh white linen. 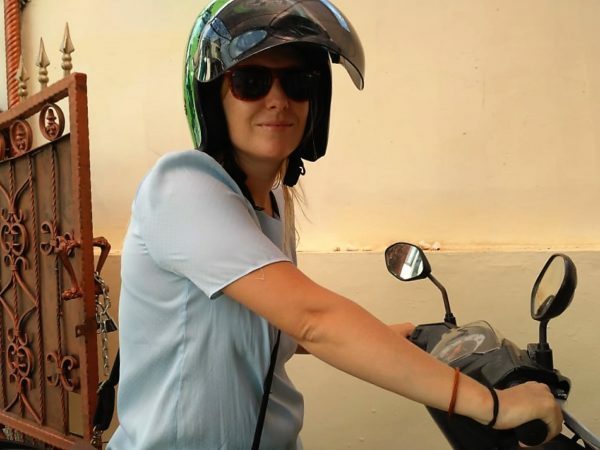 Mrs. Susana is the sales manager of Blue Karma Resort and she is the one showing me around and telling me what I need to know. 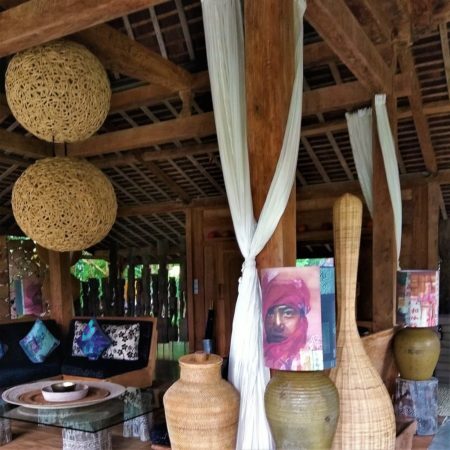 Furthermore, I learn that the owner of Villa Kalua is a French woman who collected all of the villa’s artwork herself when traveling through the Indonesian Archipelago, supporting local artists and communities. 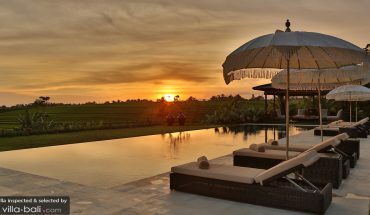 At Villa-Bali, we guarantee the quality of each and every villa in our hand-picked collection of holiday homes. Customer satisfaction is priority #1 and on top of that, we also guarantee the best price for every villa. The villas have to meet our high-quality standards and we do the inspections ourselves to make sure the villas are as beautiful as they look like on photos. Did you know that we reject over 50% of the villas we inspect? During the inspection, we make use of a checklist and only the villas that pass all of the checkpoints are listed on our website. Villa Kalua is just stunning! 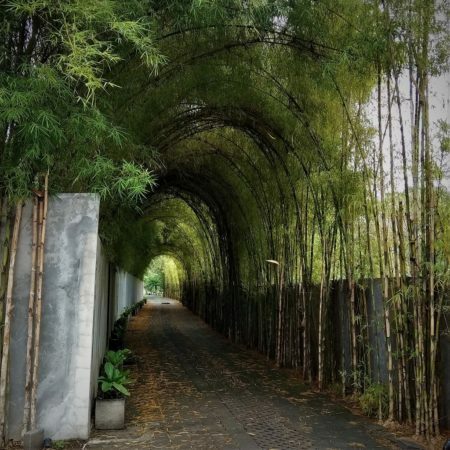 I would recommend this villa to families seeking a tropical holiday haven in a peaceful place, close to the beaches of Canggu and the fashionable, buzzing beach town of Seminyak. 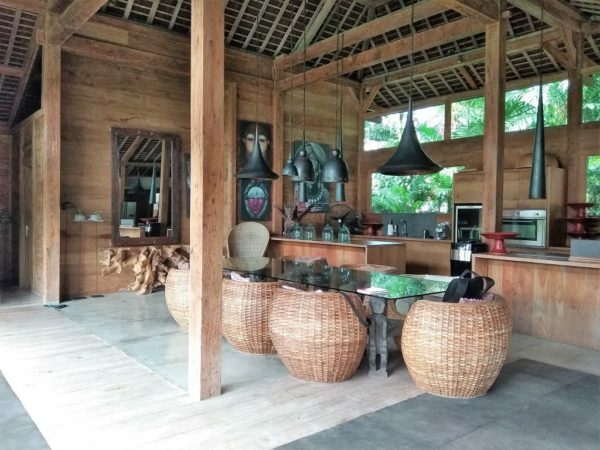 On top of that, you can rent this villa out together with the other Bali Ethnic Villas – perfect for big family gatherings, weddings, yoga retreats or other special events. Thanks for joining me on this villa inspection. 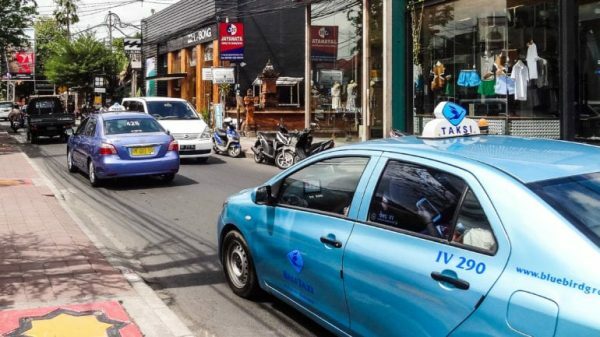 I am off to the next villa and we hope to welcome you soon in one of our selected villas on the island of Bali. Thank You & See You Later- Terima Kasih & Sampai Jumpa! Related: Check out Villa Finder’s personal favourite villas! Stephanie went out to see the world and never came back. 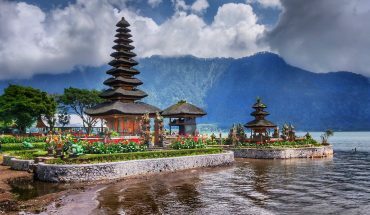 From the lowlands of Europe, she traveled eastwards and settled on Bali Island. She loves being out in nature, meeting people of different cultures, making music and writing blogs about her travels and experiences.